Guildford boasts no less than five well-established theatre companies and is also home to the Guildford School of Acting, which is now part of the University of Surrey and one of the leading performing arts schools in the country. 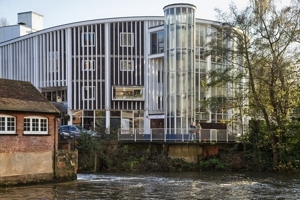 Located on the banks of the River Wey in the centre of Guildford, the Yvonne Arnaud Theatre has been hosting and producing shows since its doors opened in 1965. It was named after the well-known French actress of the same name, who settled locally and graced the UK stage for nearly 50 years. Today, the theatre has a busy schedule of performances throughout the year, attracting well-known names from stage and television, as well as supporting local actors and writers. In addition to being Guildford’s most prominent theatre, the Yvonne Arnaud hosts conferences, has a well equipped cafe and runs groups and classes covering theatre skills and drama. Parking is available 100 yards away and two disabled parking spaces are located right outside the main theatre entrance. Mill Studio is an off-shoot of the Yvonne Arnaud Theatre, but runs its own diary of events. It plays host to a wide range of fringe, children’s and youth theatre, as well as staging an interesting mix of contemporary and classical works from both new and well-known writers. 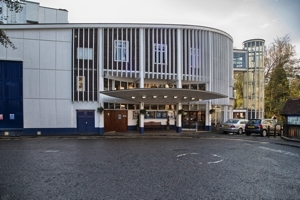 There is seating for 80 and the venue is located adjacent to the main Yvonne Arnaud buildings. G Live is a multi-purpose venue, which describes itself as “a contemporary, state-of-the-art entertainment and concert hall for Guildford and the region beyond”. It is a modern glass-fronted building on the London Road, just off the top end of Guildford High Street, housing a number of venue rooms used for theatre. Seating ranges from 20 in one of the smaller rooms to a maximum of 1,700 guests in the vast main hall. Alongside the numerous concerts, conferences and bespoke event-hosting, G Live has a thriving theatrical side to its activities, hosting performances as diverse as ‘A Midsummer Night’s Dream’ and ‘Faulty Towers, The Dining Experience’. With a choice of rooms and seating capacities, G Live is able to present each performance in a space best suited to the required atmosphere and audience size, enabling performances to be intimate but not cramped and sweaty. Visitors with disabilities have access to five allocated parking bays directly outside the venue, and the building interior is designed for ease of wheelchairs. Little things, like lowered kerbs to allow easy wheelchair access make a difference, and carers who are essential to your visit are offered a complimentary ticket. 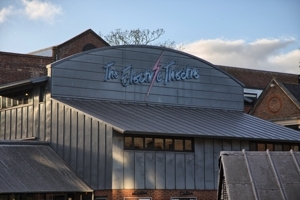 The Electric Theatre is an unusual venue, located right on the banks of the River Wey and housed in what was once Guildford’s water-cooled power station. Built in 1913, and owned by the Borough Council, it now has a maximum seating capacity of 180, and is a popular venue for performances by local arts groups. Although used by amateur groups, the standards are high and the facilities are to professional standards. Their schedule is hectic, presenting over 350 events every year, including workshops, story-telling sessions, concerts, plays, readings and puppetry. In addition to its artistic activities, the site has an excellent cafe with a riverside terrace, providing everything from a cup of coffee to a full evening meal. Not so much a theatre as a theatre school, Showdown Theatre Arts operates several schools across Surrey, Hampshire and West Sussex. 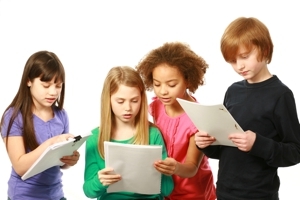 They work with young people who are passionate about performing to teach them about the industry and to develop the skills necessary to succeed in drama schools, music academies and universities. Most importantly, they enable their students to take part in productions staged at local theatres. This Guildford acting school operates from the Park Barn Community Centre in Cabell Road, Guildford. Prospective students should contact them through their website to arrange a free audition. 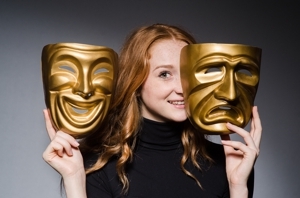 The Guildford Fringe Theatre Company is a local group producing high quality productions, and staging them in a variety of local venues, including the Electric Theatre, Clandon Wood Burial Ground and the Star Inn on Quarry Street. Under the title of ‘Guildford Gag House’, they run a monthly professional comedy club, hosted in the Back Room at the Star Inn, where the top names from the UK comedy circuit hit the stage and entertain audiences in what’s been described as an ‘very intimate venue’. Seating is limited to around 50 and the events are usually packed. The Guildford School of Acting – better known as GSA – is one of the UK’s leading drama schools. It started out as the Grant-Bellairs School of Dance and Drama in 1935 and moved to Guildford at the start of the Second World War. 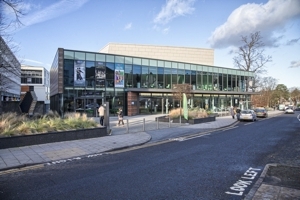 For a long time the GSA was based next to the Yvonne Arnaud Theatre; but in 2010, it became part of the University of Surrey and moved to its new home. 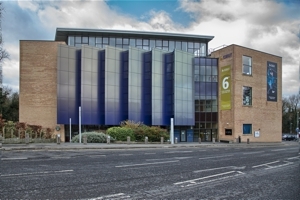 The new venue includes state-of-the -art facilities, new dance and drama studios, and all the benefits of being part of a leading university. Staffed by industry professionals and experienced lecturers, GSA now runs courses ranging from Summer Schools for enthusiastic youngsters through to undergraduate and postgraduate degrees from the University of Surrey. Students stage a series of public performances throughout the year, culminating in final year shows attended by talent scouts from the industry. Alumni from GSA include Bill Nighy, Celia Imrie, Michael Ball and Gaby Roslin.